If you're on android, you could make another account yourself by clearing the game's data in app settings, then making another google play account and making sure automatic sign ins to games are turned off for the accounts so when you launch Hackers again, it'll be as if you'd never played before and will ask you which google play account you wish to play with. Select the new one to make a new network or select the already existing one to play on your already existing network. TA does not uhm... forgot the word XD (support/recommend?) this method because (apparently) it could result in loss of the network. Many of us have used this method (I've used this for a year and nothing bad ever happened) so if you don't want to wait a week for TA to reset your network for you, just do this and you'll be all good to go in a few minutes. If you're on iOs however, I don't know of a secure method of making another network, tho TA can still reset your account in any platform. I've tested it lol it did work for me. 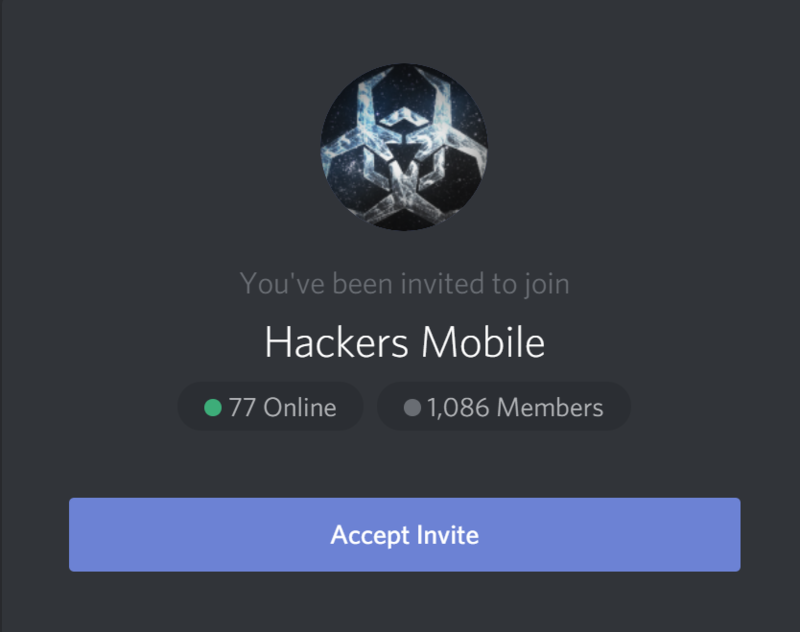 You can use discord on mobile and desktop, however the second link only works on desktop last time I checked. TheLurkingRage wrote: I've tested it lol it did work for me. [ _! :Здравствуйте _ ! :ВАЖНЫЙ _ ВОПРОС : Произошла остановка _ ПрогреСса ~ ЭволюцИи : Ядра = ? !_ Что делать : Что бы _ Повысить : Уровень _ Ядра . ..